Until recently people that wanted to rent a motorcycle could only rent 50cc scooters that were not fit to discover the whole island. And those are no real bikes! Cuba is relaxing its laws slowly, and now you can rent a motorcycle! 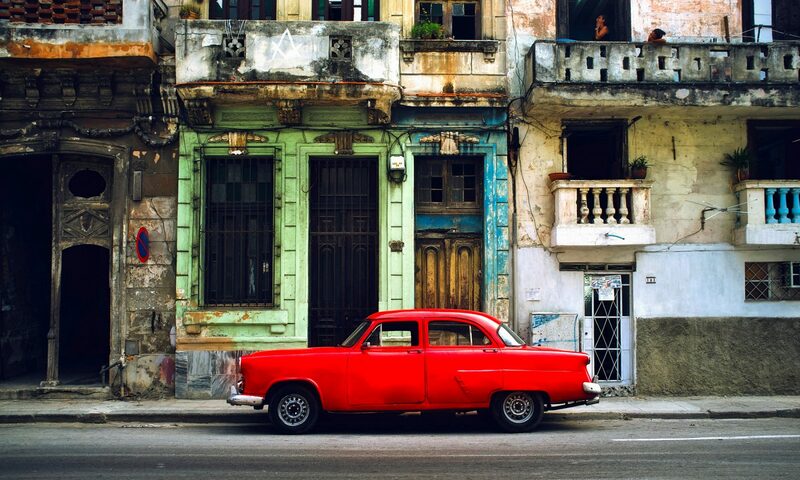 With some restrictions that is… It’s still Cuba! You cannot just rent one (or two) hop on and discover the island. 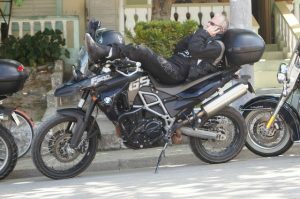 (Well, there is a way: find a foreigner that has temporary residency and a motor and is willing to rent it to you… I’ve done that a few times, and it is great although the motorcycle had some problems.) In practice this is just not possible as a tourist. To avoid those problems you can now rent a brand new BMW Enduro. That’s the perfect bike for the Cuban road conditions. 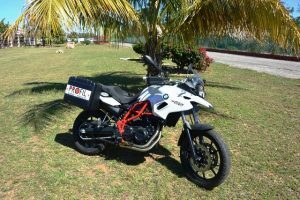 Profile organises motor tours all over Cuba with those BMW F700 GS. The advantage is that you and your group (individual subscriptions are welcome) always will have a guide and troubleshooter with you. Cuba is bound to give you some trouble at some time. The guide speaks English and is a motor fanatic, so you are in good company. Sent me a mail with your wishes cubabookconga@gmail.com and I’ll see what I can do (no guarantees and you will still travel with a Cuban guide). I did a tour with them; it was a great adventure! Great company too. All bike enthusiasts like me. We had a ball, and the bikes were perfect. (One broke down and got replaced within 4 hours!) That’s a miracle in Cuba! 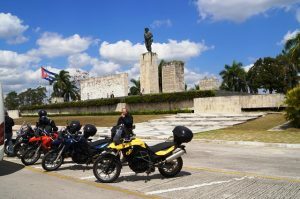 Before you rent a motorcycle, you should familiarise yourself with Cuba. It is a totally different culture, and nothing is what it seems to you. Here’s for instance how to save a few hours upon arrival. Or read this to understand Cuba is a different ballgame!